Q: Is Wii Visrual Console Hacked - Can I play roms on Wii Virtual Console? A: No - VC is not hacked and games can not be transfered from one Wii to another BUT the good news is that you can play roms on wii with home-made emulator programs. Q: So what exactly do I need to play Emulator Roms on Wii? 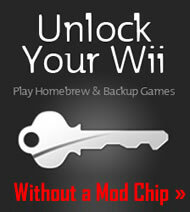 A: You need 1) Wii with a modchip that lets you run "homebrew" software. 2) GameCube controller wired or wireless. 3) A DVD with the Emulator and Rom files. At the moment all homebrew can't be only in GameCube mode, so you won't be able to use Wii exclusive stuff like the Wiimote, SD Card, USB drives, etc.. You can use a SD Card in GameCube mode through an adapter like the SD Gecko. With a modded Nintendo Wii you can run Homebrew Emulators from DVD-R or RW discs as well as from SD cards. It is like having Virtual Console with all the roms for free. You can download a ready made ISO files of emulators with roms taht you just have to burn to a DVD and you can play on the Wii. Unoficial wii Virtual Concole with SNES, Nintendo NES, SEGA Master System, SEGA Mega Drive / Genesis Roms and Turbo FraFX with almost all rom set or atleast the most popular. If you need more roms for any emulator just add them to your sd card and after you choose the emulator you like select the sd card path where you added the roms and you are done. 1. 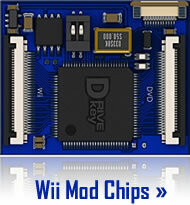 You need a modded wii, Wiikey or another Wii chip that suports GC homebrew. 2. 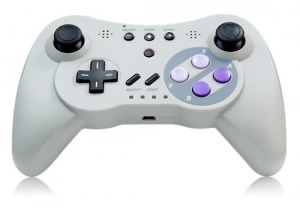 In order to play emulated rom games you have to have GameCube controlers. 3. Unrar the iso file. 4. Burn with image burning software. P.S In order to save you need to have a GC memory card. PS2 emulator	for Wii does not exist. It would be cool to play PS2 DVD Games on Nintendo Wii, but it will not happen becouse the system should be about 5 times faster than the one being emulated. Nintendo ds nes n64 emulator,	snes emulator are all a reality. Sony Playstation and PSP roms may	one day be playable on Wii. GBA nintendo 64 Xbox and GC roms. 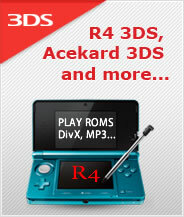 NDS ROM Backup Tools -- Want to play Nintendo DS Roms on the NDS for free? If YES - You don't even need to chip your DS - what you need is one of the DS Flash Cards / DS microSD Memory Card Adapters: G6DS, R4DS, M3DS Real and others compared. Read reviews here: G6DS Real, R4 DS Revolution Review, M3 DS Simply, M3 DS Real, CycloDS Evolution DS-X 16G Mk5 NinjaDS, Ultra Flash Pass EX and DS Linker. NDS ROM flash cards for backups. * You have to have a ModChip in Your Wii to play backups. Without it Wii ISOs will not run. 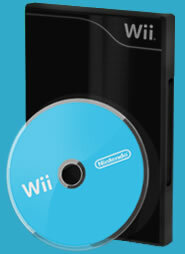 Wii Accessories at unbeatabe low prices and with free shipping!